Sacramento has a huge problem with gang-related crime. And they’ve come up with a novel solution. The Mayor and City Council voted to enact a program to pay gang members not to kill people. Yep, you are reading this correctly. They may be paid NOT to commit crimes. And of course the program is sure to work, converting formerly violent gang members into beautiful children of light, no doubt. 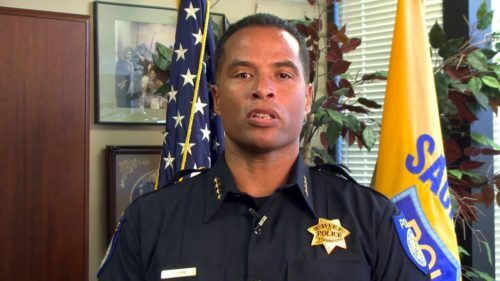 The program, entitled Advance Peace, and designed by a firm in Richmond, California, sets aside 1.5 million dollars to be paid out to known gang criminals, directly from the city’s general fund. Back in the day, this approach had a name, it was called a “protection racket.” Law abiding citizens pay the bad guys not to hurt them. And guess who ran these protection rackets and still does, in cities across America? That’s right, the Mafia, the criminal underworld; the gangs who run crime organizations. So. it looks as if the city of Sacramento is taking a page, literally, from The Godfather. They really think they can buy peace by paying criminals. It’s only a matter of time before it is found that these recipients of the taxpayer’s money are continuing to commit crimes even while taking the money. One councilwoman, Angelique Ashby, also has reservations about the program, and isn’t sure about the so-called contract that would be signed by gang members. It apparently does not require the thugs to work with the police, or the schools, or to engage in any kind of attempt to minimize crime and help other people not to take the gang route. Sounds like just what it is; free money for being a known thug. The program has not yet been finalized. We can only hope the Sacramento city council comes to its senses before it is. So, to recap, in California, they may pay the criminal gun crime perpetrators, even as they tax and persecute the legal gun owners. They make it hard for the average citizen to exercise his or her Second Amendment rights, while thinking of making it pay big to be a murdering thug. Leftists have always believed that paying taxpayer money to people who are not contributing members of society is the right thing to do. The Left, especially in urban areas, believes your tax money is best spent by someone who does not hold your values and has no intention of earning it. The Left is addicted to OPM; other people’s money. If this program is implemented, it will fail. Because thugs are thugs, no matter whether they are getting free money or not. Wonder what happens when they commit a crime or get kicked out of the program? Will they be able to collect thug unemployment?